The one thing you will never come up short on in Siesta Key is a good playground. Siesta Key is full of them, from a large beachside playground on world-famous Siesta Beach, to a mesmerizing park on the southern point, filled with sea turtles and other wildlife throughout the year. You can even venture just off the island to find some of Florida’s best public playground attractions. Below are four public parks with playgrounds where you can unleash the kids to go wild all day long. You could even do a park hop and visit each one in the course of a day. Start at the north end of the island at Boyd Park and make your way down to Turtle Beach Park. Boyd Park is one of the smallest parks on the list. It’s only an acre, but it has the benefit of being within close proximity of Siesta Village in an overall quieter area. The park has a fun little playing and picnicking area, but it’s the combination of the sensational sandy beach line that puts it at the top. Playgrounds are free and a perfect way to spend some time on sunny Siesta Key for families. They allow kids to express all their energy. If all goes well, they jump back in the car exhausted after a day full of activities. It’s a win for everyone. When Siesta Beach Park is packed, Glebe Park is the place to go for locals and visitors, located right behind the St. Michael the Archangel Church. It is a substantially sized 10-acre park offering a full range of amenities including a covered picnic area, a covered playground, baseball field, soccer field and basketball courts. Enjoy a picnic here, ride bikes, or play a few games of your favorite outdoor sport with the family a bit away from the noise of Siesta Beach on one of your vacation days at Glebe Park. Swings, slides, and jungle gyms make up just a small part of the recently renovated playground on Siesta Beach. It is the center of the action for families on the island, with kids playing, running, and taking in the beach on any warm day. There are two main playground areas. One is for younger children, and features some swings and a slide, among other things. A larger park, for ages 8-15, can be found right next to it. It’s taller and has more features, such as a jungle gym and hanging rope. Both playground areas are next to clean bathrooms, picnic areas, and even a small café with snacks and drinks. 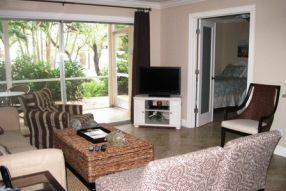 It’s also across or on the same side of a number of popular beachfront Siesta Key vacation rentals. The park could not be in a better location – right on Siesta Beach with its beautiful quartz sands and calm warm waters. Many will tell you it’s best place to be on Siesta Key. When you see families with kids spend countless hours hopping from the water to the playground and back again, you would be hard-pressed to disagree. Turtle Beach Park is on the southern side of Siesta Key on Midnight Pass Road. This park is another top destination for families and outdoor sport enthusiasts, and there’s always something to see. It’s quite a park, equipped with a boat ramp, swimming areas, designated bathrooms, and a picnic area. There is also, of course, a playground area for smaller adventurers. 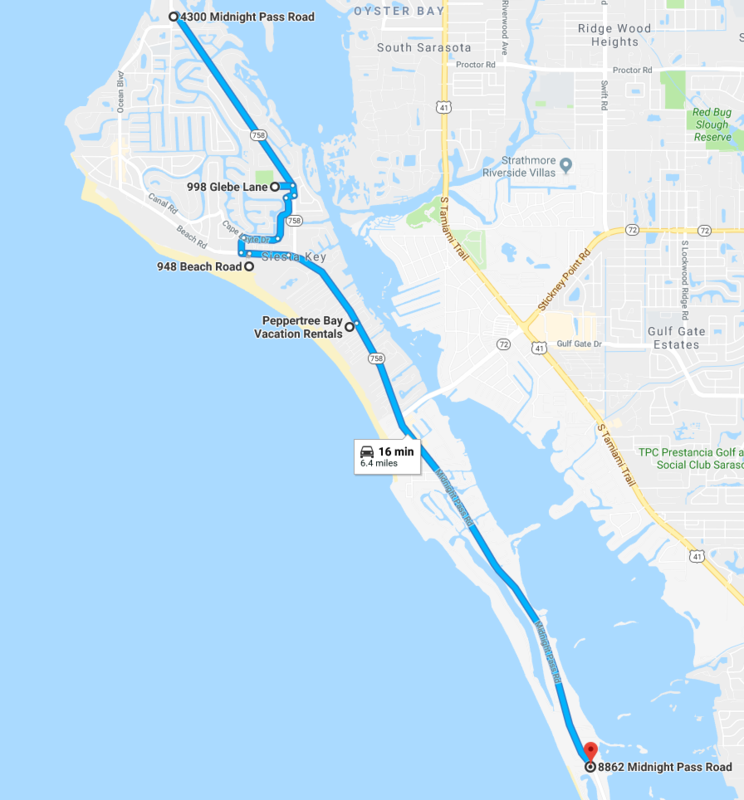 Turtle Beach Park is also a major launch point for kayakers who want to take a quick paddle through the Blind Pass Lagoon, which opens up to the Jim Neville Marine Preserve. To learn more about the playgrounds and parks on Siesta Key or for information about accommodations, please call us at (941)-349-7777.